One of the great anomalies of the video game medium is Street Fighter: The Movie…the video game. Yes, it’s a video game, based on a movie, based on a video game. Street Fighter II remains one of the most influential video games of all time, and during the 90s, it was everywhere. The 1994 film adaptation was one of the first “video game movies,” following in the footsteps of Super Mario Bros. a year earlier. Like the Super Mario Bros. movie, Street Fighter’s film adaptation is certainly no critical darling, but has a campy, guilty pleasure appeal about it, and the same can be applied to the game. Street Fighter: The Movie… the video game is just a generic copy of the game that inspired the film that inspired it. It uses digitized actors a la Mortal Kombat, with most of the actors from the film reprising their roles (except, sadly, for Raul Julia as M. Bison, as his grave illness was taking its toll at the time). You have a selection of most of Street Fighter 2’s roster (sans Dhalsim, who was – for whatever reason – a scientist and not a fighter in the movie). 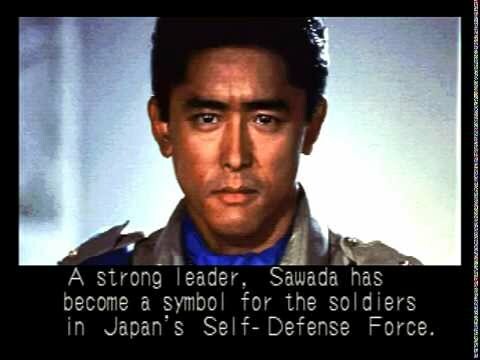 Additionally, you can play as Captain Sawada, an original character from the film whose role was so small, you may not even recognize him even if you’ve seen the movie. I have to admit, it’s actually pretty humorous seeing the game in motion. A match between Guile and Chun-Li becomes a battle between Jean-Claude Van Damme and Ming-Na Wen. Most of the characters retain the exact look they had in the movie, but some now have clothing that more closely resembles their original video game appearances (we get to see Kylie Minogue in Cammy’s original gear, which is definitely a bonus). It’s really just a fun game to look at. Obviously, the whole “digitized actor” thing hasn’t exactly aged well, but the simple fact that it looks like Street Fighter: The Movie is entertaining in its own way. As stated, the gameplay is nothing special. It’s just a basic 2D fighter, and nowhere near as intricate or fluid as the “real” Street Fighter games. Though in all honesty, I’ve played worse. The biggest problem here is that the gameplay is bland and flavorless, but at least it isn’t flat-out broken. 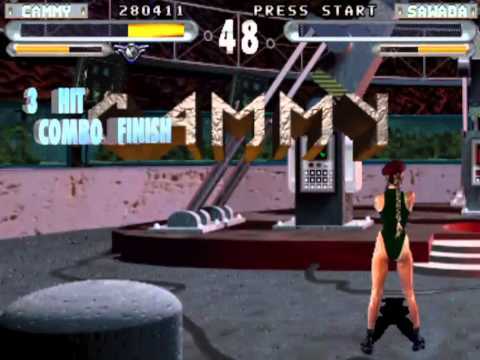 You have a few game modes to choose from: Movie Mode is essentially a story mode, where players take control of Guile and follow the events of the movie. 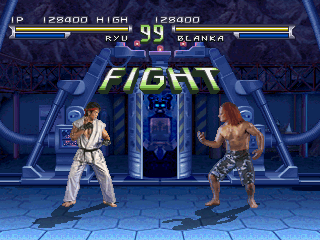 Street Battle is a more traditional arcade-style mode, where you can select your character and battle a series of opponents. Trial Mode sees players gunning for a high score against every opponent. Finally, Vs. Mode gives you the two-player battles you would expect from Street Fighter. In the end, Street Fighter: The Movie… the game is, as you might suspect, not very good. But like the film on which it’s based, it has its own ironic appeal. It’s the kind of game you can break out with a friend, play a few rounds, and have a good laugh. I mean, you can play as Captain Sawada! Doesn’t that just say it all? For Street Fighter Week, here’s the Wizard Dojo review of perhaps the strangest entry in the franchise, Street Fighter: The Movie….. the game!